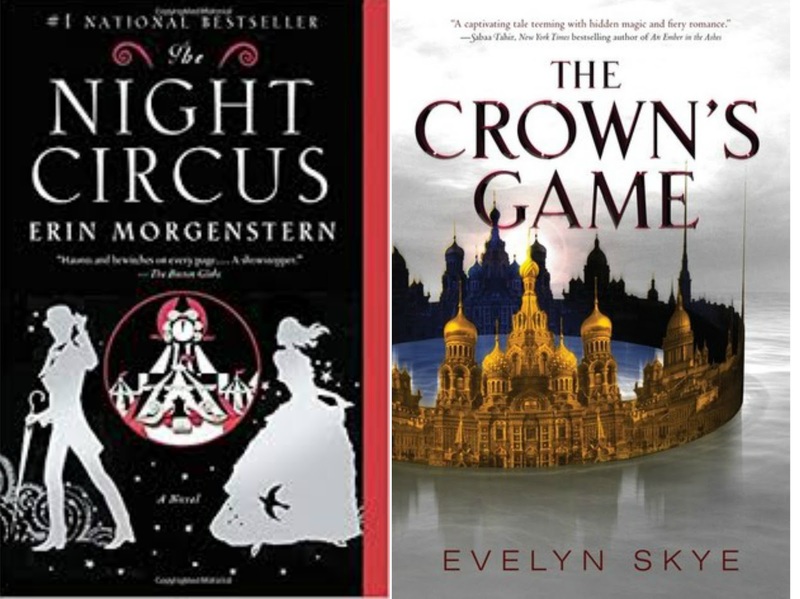 I was sitting in my room thinking about books that I thought had very similar premises or were just similar books in general, and I was thinking about at what point does it cross the line? When does a similarity become plagiarism? So I figured I'd talk about that today. I should add a spoiler warning also, so before each paragraph I will put a picture of the books it will spoil, if any. I want to use comparisons between books to further my argument (although I'm not quite sure what my argument is at the moment, maybe I'll figure it out by the end of this post). I'm also trying to stick with comparisons that I've read, so no theoretical ones that I don't know for sure about, like the Eragon vs. Star Wars thing, or the Mortal Instruments vs. The Dark Hunters Series, I feel like I wouldn't have the best view of things if I didn't have all the details myself, so I'm leaving those out. 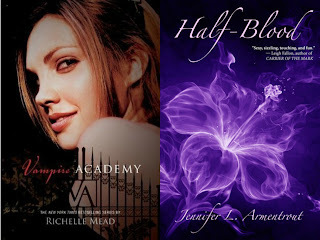 The one similarity in books that always comes to mind right off the bat, is The Vampire Academy by Richelle Mead and The Covenant Series by Jennifer L. Armentrout. These are two of my favorite authors of all time with two of my favorite series's of all time, so they're at the forefront of my mind a lot. They have a lot of similarities, such as the protagonists both ran away from their magical boarding schools before the books started. There's also the fact that they both have hot older mentors and were in forbidden relationships with them. The protagonists also have pretty similar personalities, they aren't doormats. There is also a lot of other comparisons that can be made, like the fact that there are halfbloods, and full bloods, and evil creatures that are out to kill the full blooded ones so they must be protected by the half blooded ones. Now while that is a lot of similarities and when put like that it does seem to be the same story, however, their plot lines go in completely different directions. Personally, I find it's okay that circumstances are similar as long as the plot line isn't identical. 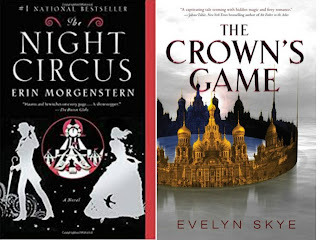 Another comparison I should make is between, The Night Circus and The Crown's Game. These two books have the same premise, two magic users in a battle to the death, and whoops, they fall in love. What makes these two similar premises separate in my mind is that they have two completely different settings, they have a different end game, the atmosphere in these books are completely different from each other. While I do think that if you liked one, you would like the other, I don't think you could only read one and it would be like reading the other one. 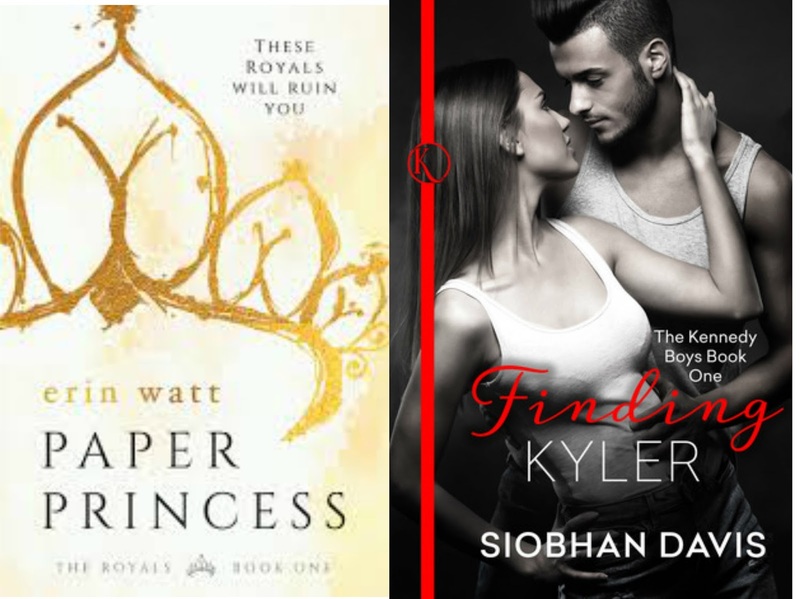 Two series's that I think were a little too similar were the Royals Series by Erin Watt and the Kennedy Boys Series by Siobhan Davis. Don't get me wrong, I love both of these series's so much, but I can't ignore the fact that they are so incredibly similar at times I can't tell them apart. Like, I will remember a scene from one of them, but I can't quite remember which series it was from, which characters it entailed. Honestly, the reason I read the Kennedy Boys series was because it sounded so similar to the Royals Series, a series I loved, and I wasn't disappointed. The point I am trying to make is, two different book series's should not be interchangeable, similarities are okay, they are bound to happen, but having nearly identical stories is not. There should never be a point where I'm not sure about what happened in which book. I know it's not always on purpose that these books are so similar, but I feel it should be an effort to try and make sure your book isn't too similar to another. Thoughts? When do you think the similarities between stories go too far? I definitely know what you mean. I read Garden Spells by Sarah Addison Allen a few years back and the whole time, I'm thinking this book is really familiar!! Like, 2 magical sisters, an aunt/godmother figure, baking, weird magic, strange things happening. One sister is laid back, content where she is while the other is rebellious, outgoing, etc.....You guessed it, PRACTICAL MAGIC, all over again! Both great books but way too similar!